Canon EOS 1200D has been launched at price of RS 30,000 in India. 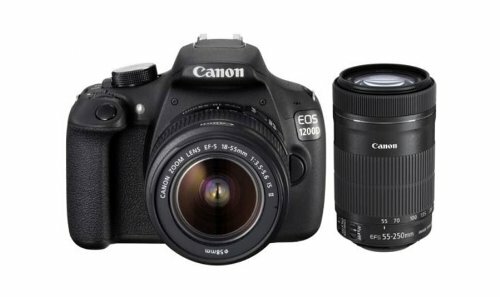 You can Buy Canon Eos 1200D Rebel T5 from amazon, flipkart and other online retailers. The EOS 1200 D is a budget DSLR with some nice features and Specifications. The 1200-D will compete with ( VS ) Nikon D3300, 600D, 1100D, Nikon D3200, D3100, D5200, D5300, D5100 and 60D. It has 18MP APS Size CMOS sensor and 3 inch display with 460K dots. Canon EOS 1200D comes with buit in Flash and Viefinder. It has 9 point cross type AF and ISO sensitivity varies from 100- 6400 in manual mode. The camera is capable of recording Full HD 1080p Videos. It measures about 129.6 x 99.7 x 77.9mm and weighs 480 grams. It lacks audio input jack for external microphone, which seems to be the main disappointment.